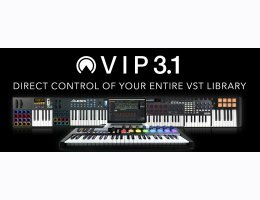 VIP 3 support Standalone operation, VSTi, AU and AAX compatibile hosts and DAWs. Mac OS X 10.8.5-10.12; Core Duo Processor (Core i5 or i7 Recommended). Minimum RAM : 4GB (8GB or more recommended). 2 GB free disk space for basic installation, 20GB free disk space for Optional Plus upgrade content installation. 1280 x 768 pixel screen resolution. iLok optional. Authorization is supported with iLok 2 or 3, to computer via iLok License Manager or direct with no account required through the activation manager.